No to the use of force to settle conflicts between nations and peoples! Today, the Stop the War Coalition has to continually expose, and fight against the endless false flags and false justifications given by the big powers for their increasing indirect and direct military interventions in Syria, Ukraine, Iraq, Africa and elsewhere. 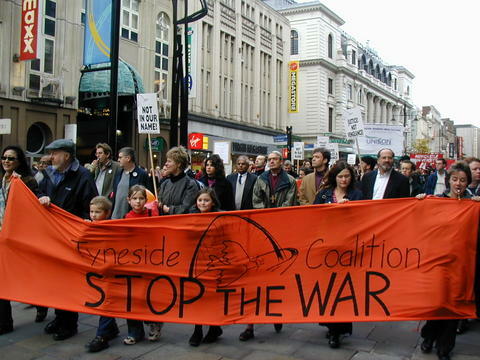 The Stop the War Coalition not only stands against the warmongering of the British Government but must continue to make its contribution for peace in the world by fighting for an anti-war government here in Britain. That is our goal and what we mean by dealing with the enemy at home. Get involved and join in its vital work!